Get 1 push notification a week with a 60 sec. summary of the need-to-know tech news you’ve probably missed. Where do you want your memo delivered? You already signed up on , see you next Thursday! You don&apos;t seem to be online. Share The Tech Memo with your colleagues Pass it on to your tech bros Let your followers in on the good stuff! We keep track of the most important stories in tech so you don’t have to. 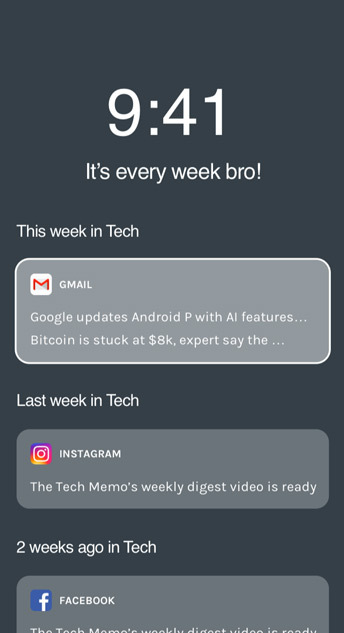 The memo is my secret little hack to always know about what's happening in tech. Awesome for conversation starters at events.